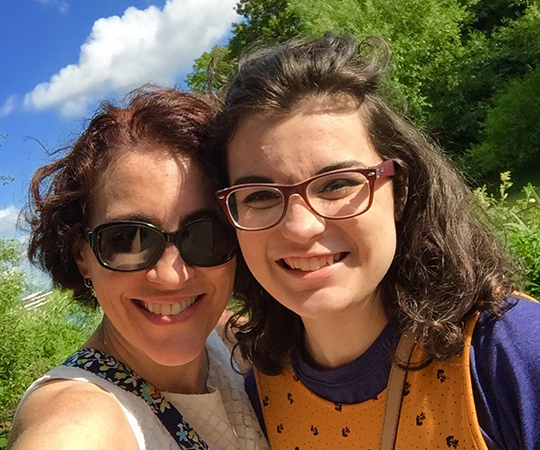 Yesterday evening, I watched with joy, trepidation, glee, horror, and an assortment of other mom related emotions as my 16-year-old daughter drove out of the driveway and away from our house, by herself, for the first time ever. My stomach did several somersaults, I swallowed the brick in my throat, and I prayed so hard that she would make it to church safely, where she was headed. It seemed appropriate that her first solo drive would be to church, where she is participating in the Life Teen retreat music team. I was so happy she received that invitation; and so glad she responded. As I watched her go, I tried to calculate in my head the hours that I had invested driving her around to music lessons, band performances, orchestra performances, church functions, and the list goes on and on and on...in hopes that, one day, she might actually want to make music herself (rather than have mom force it upon her). So much invested in that little girl, only to stand and watch - nervously but proudly - as she took flight, by herself, and of her choosing, without my help. One great joy I often have when I travel is meeting young people who are involved in their parish music ministries. When I meet and work with these young people, listen to them play or sing, watch as their faces light up when they figure out a new song, a cool harmony part, or a strange chord they never knew existed, I think about all the hours that have lovingly been invested in them. Behind every young musician, there are parents, teachers, friends, church music directors who have worked to lift them up, to acknowledge their talent, to surround them with love and belief. The result is that they learn they have something true and important to offer the church. Our support is a great gift to our young musicians. Often I am asked questions from music leaders like, "what do I do if I have a young person approach me who only knows how to play the tuba? ", or "there's this young girl who likes to sing, but I don't think she understands what a melody is", or "Johnny broke out in a metal guitar solo last week during the communion meditation…is there a preventative medicine for this?" I have heard so many beautiful, wonderful, hilarious questions. And all I really have to offer is this: when I was 10 years old, Sister Pat stuck a guitar in my hand one morning at school and said, "you're going to play at Mass today". I literally knew three chords. I was about as outgoing as a couch. I was afraid of my own shadow, afraid of being publicly humiliated, afraid I had nothing to offer. But Sister asked me; and so, I played at mass. I think I heard an angel weeping that day (not in a good way). I was probably pretty awful, as a matter of fact. But I played and sang anyway...and I've never stopped. Maybe the question has less to do with the abilities of our young people, and more about our ability to involve them. Welcome them. Be willing to teach them. And learn from them, too. The future of great church music goes as far as our ability to nurture our young musicians, and – perhaps most importantly - to extend to them our invitation. Even if they only play the tuba. 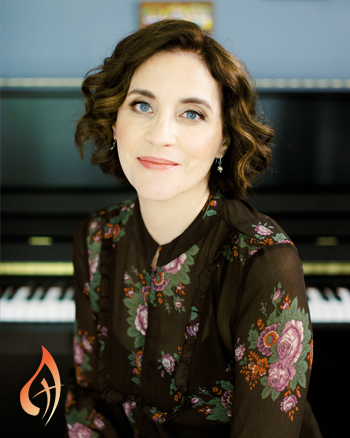 Sarah Hart is one of the leading figures in contemporary Catholic music today. Her songs of faith and workshops have touched the lives of thousands.